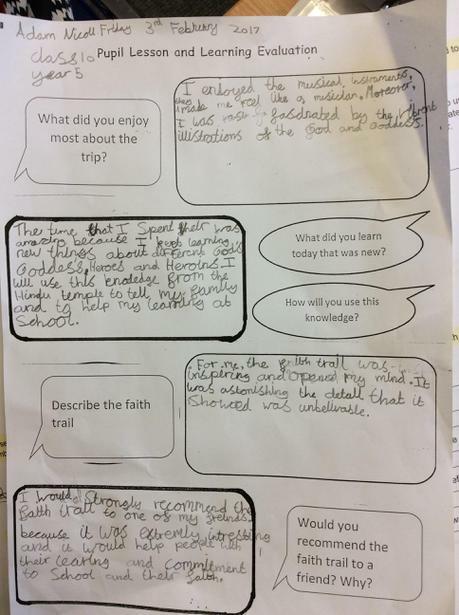 Our annual 'Faith Trail' for Classes 9, 10 and 11 has taken place! This is a fantastic opportunity to learn about different faiths in our local community. This year we visited a Hindu temple (Mandir) and a Mosque. We've learnt lots about Hinduism and Islam by visiting these places of worship. Well done everyone! 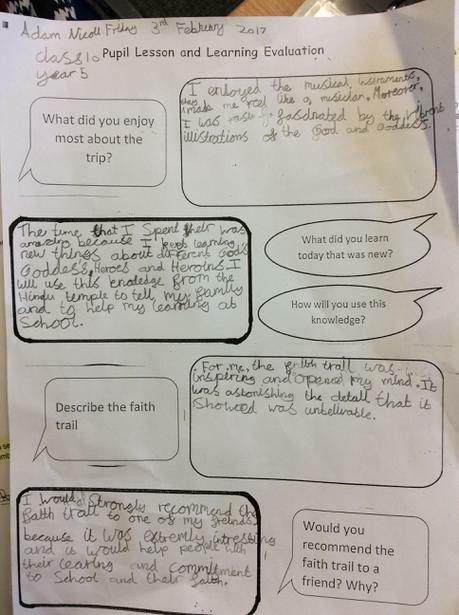 Adam's evaluation of the 'Faith Trail' is a wonderful example of how much the children enjoyed it and how much they learnt! Thank you Adam!